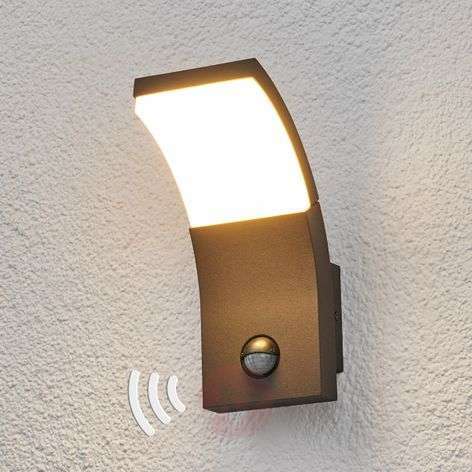 Ohio LED outdoor wall light, sensor, titanium col.
What types of outdoor lights do you supply? 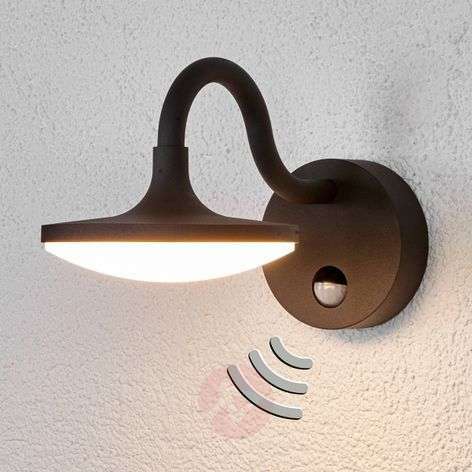 How do I know if a light can be used outdoors? What styles of outdoor lights do you have? What are the best bulbs to use? Are all of these lights weather-resistant? Are these lights suitable for coastal regions? 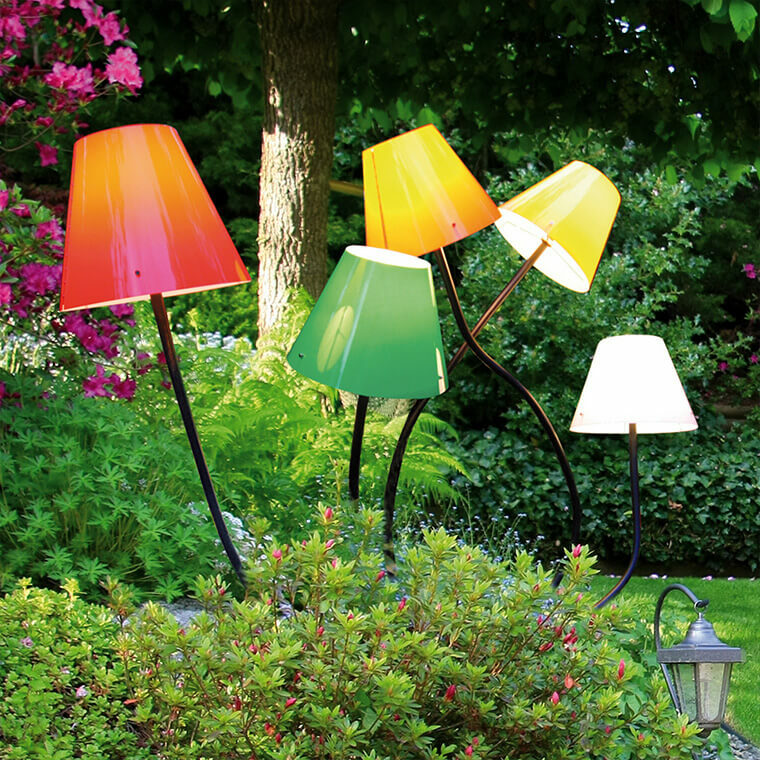 A dazzling range of outdoor lighting for Ireland's homes and businesses. From spotlights to path lights, recessed floor lights to solar lights, pond lights to patio lights you’ll find exactly what you’re looking for right here, order online and have everything delivered in days. Why do we have so many types of outdoor lights? We know that the outside of your property is often a bigger canvas than the inside. Indoor lighting usually has a specific purpose but outdoor lighting is not restricted to a specific room or space. Lighting the outside of your property is an opportunity to express your creativity. Outdoor lighting can be used to light up your view from the house or office to the garden, highlighting natural features, trees, shrubs and lawn. For this we suggest you check out our huge range of ground lights and low level spotlights that can illuminate key features. These lights include spike lights which can be driven into the ground along, for example, a planted border. At night, the light coming through shrubs and bushes can be quite dramatic. If you have a water feature, we’ve got pond lights to shine on the water or up through it. We’ve got lighting to create outdoor rooms and if you’re looking for something more unusual, explore our Outdoor Design section where you’ll find some truly unique lighting. Another important reason to use outside lighting is to make your outdoor spaces useable after dark, not only in private homes but in hotels, restaurants, pubs, clubs and offices too. Then, of course, there are the safety and security aspects too. Pond lights make open water safer while public areas are safer when illuminated by sunken lights and upstanding path lights. 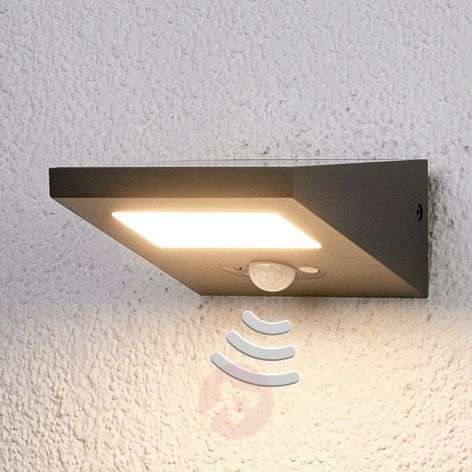 Well-lit areas also deter crime and motion sensors are highly effective in this too. Finally, you can rest assured that all of our outdoor lights are ingress protection certified for water and dirt resistance, which makes lights.ie lights even more brilliant. That’s easy: just check the ingress protection (IP) code. 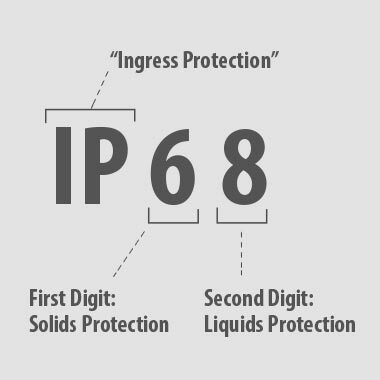 This is a two-digit number - the first one represents protection from solid objects on a scale of 0 – 6 while the second represents protection from liquids on a scale of 0 – 8. If this number is 4 or greater you can instal the light outside. Lots! We’ve got a fantastic choice of outdoor lights in antique, country house, rustic, designer, hotel, restaurant, industrial, maritime, Mediterranean, modern, office, Scandinavian, shop and vintage styles. Should I get motion sensors? Many of our outdoor lights have motion and dusk sensors built-in (particularly our wall, flood, pillar, path and ceiling lights). They are incredibly convenient but also provide safety and peace of mind. Place one at the entrance to your garage, for example, and it will always illuminate the area and see you home safely. Of course, it is also useful as a warning if intruders are nearby. 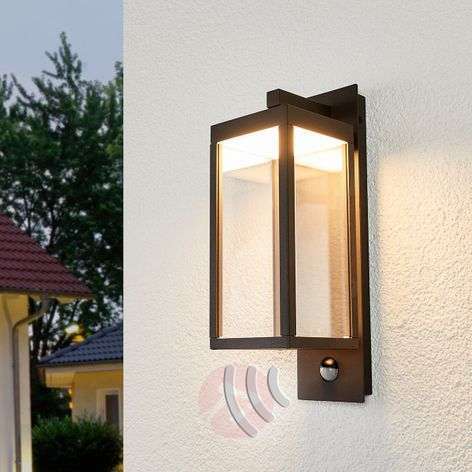 Another aspect is that motion detectors help to reduce costs as your outdoor lights only come on when they are needed. We get asked this a lot and the answer is LED wherever possible. They last for ages, use very little power and light up immediately, unlike energy-saving spirals which take a couple of seconds to warm up. Some of them. If you live in a coastal area you should avoid choosing aluminium or steel materials as the salt air can make them corrode and rust. Choose “corrosion-resistant” in the filter above to find lights that are made from Poly (methyl methacrylate) (PMMA), heavy-duty plastic or brass. See all coastal lights over here. Most of our outdoor lights with LED bulbs have them built-in. To see if one has a built-in bulb or not, check the specifications on the product page for that light. If the technical specifications do not specify a base type then the light bulb will be built-in and will have a life span of between 20,000 and 25,000 hours. How do I instal an outdoor light? If you know what you’re doing, you can instal any of these lights quite easily – each one comes with detailed step-by-step instructions. If you are in any way unsure, please consult a qualified electrician and they’ll do it for you.